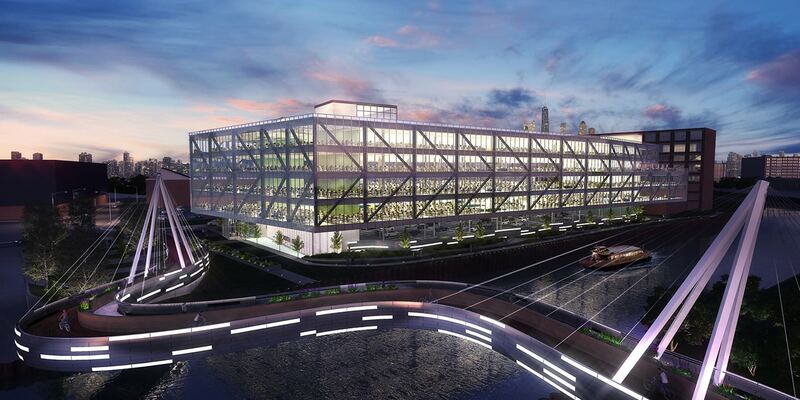 A new 350,000 SF commercial development will transform the former Goose Island Boat Yard into a high-tech office corridor. 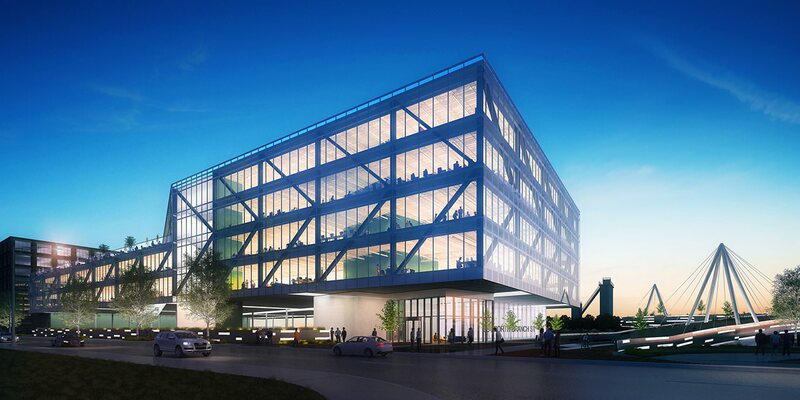 The four-story office building, with one level of covered parking, is contained within an expressed steel structure clad with a glass curtain wall. 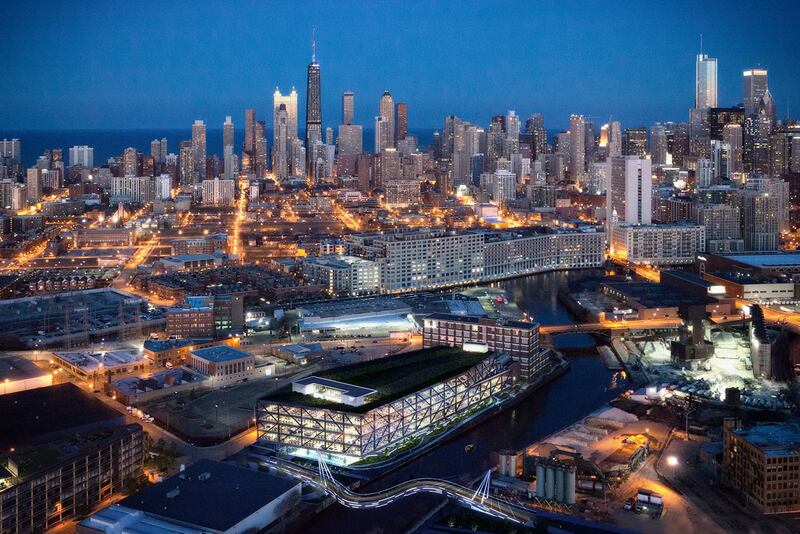 An elevated serpentine pedestrian and bike bridge will cross the Chicago River and create an access point to Milwaukee and Ogden Avenues.